Before the 1970s, athletic shoes had thin soles, no support, and zero heel drop. (1) Then, Nike popularized running shoes and an industry was born. (2) Dazzled by multi-million dollar advertising campaigns, we've become convinced that our feet need lots of support and cushioning to run effectively. But the belief that the modern running shoe is superior to your own two feet is slowly changing with the popularity of minimalist running shoes. What is a Minimalist Running Shoe? What started as a weird fad has exploded into a movement now backed by solid science. (3) As a result of this growing popularity, minimalist running shoes have suddenly been embraced by many everyday runners. To give you an idea of how popular minimalist running has become, Vibram (the company who created the modern minimalist running shoe) had to ramp up production of their FiveFingers “toe shoes” just to keep up with demand (from 2006 to 2009, their annual minimalist shoe revenue jumped from $430,000 to $11 million dollars!). The Vibram FiveFingers is an example of a minimalist running shoe. Little to no support for the foot. Large toe box (or individual boxes for each toe). There are some shoes that don’t strictly conform to the minimalist rules listed above, but are designed to allow a person to run, jump, and quickly move laterally with minimal support and a large toe box (in other words, a quasi-minimalist cross-training shoe). But these minimalist shoes will have a much thicker sole (to help blunt the impact of jumping) and a small heel drop. These shoes should only be used by those who have mastered good running form through barefoot running training. The Reebok Nano 2.0 is a quasi-minimalist shoe designed for Crossfit athletes. Because minimalist running shoes try to replicate barefoot running as closely as possible, they usually offer many of the same benefits as barefoot running. The biggest improvements you’ll notice will be more feedback from the ground, fewer injuries, and a small bump in overall speed. Because true minimalist shoes usually have no more than 6 mm of sole, your body gets enough feedback from the environment under your feet to allow for small unconscious adjustments while you are running (something that is impossible with modern running shoes due to their thick soles). These adjustments reduce impact, improve efficiency, and allow a person to run more naturally with very little training. 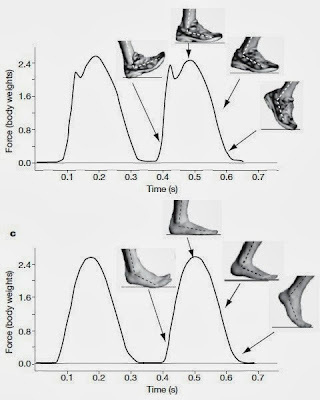 If you heel strike, all of the cushioning you get from modern running shoes can make it hard for you to realize that your joints are absorbing greater impact force than if you were running barefoot (and not heel striking). (4) This extra impact force can lead to many different kinds of foot, leg, and hip injuries. 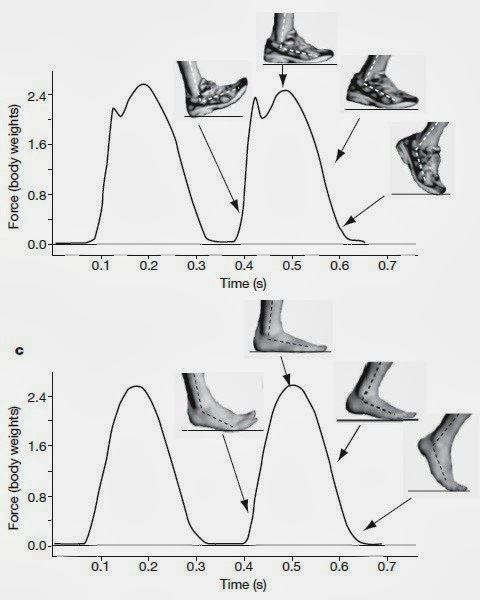 Notice how heel striking (top) creates additional impact force that is missing from forefoot striking (bottom). This is true even on hard surfaces. Since you are not fighting your feet and legs, minimalist running can be about 5% more efficient than running in regular shoes. (6,7) That might not seem like a lot, but over the course of a 1.5-mile run, improved efficiency can translate into a 1-2 minute reduction of your run time! That's a lot of extra points to pick up by simply buying a pair of shoes. If you've run in normal shoes all of your life, and you heel strike, then you will probably have pretty weak feet and calves. That means that you will not want to just put on your new minimalist shoes and immediately run a 5K. You want to slowly get used to running with minimal foot support. But, before you jump into minimalist shoes, I would recommend that you start running barefoot so that you can re-learn how to run. First, find a long, flat grass-covered field. On this field you will be running back and forth for about 100 meters, paying close attention to how differently you run while barefoot. You will do this for 12 weeks before putting on a pair of minimalist shoes. For the first six weeks of your barefoot training you will run barefoot for about three minutes a day, three times each week (e.g., Monday, Wednesday, and Friday). For the next six weeks of barefoot training, increase the amount of time that you run barefoot from three minutes to five minutes (the distance remains the same). For two weeks after your 12-week introduction to barefoot running put on a pair of minimalist shoes and try to imitate your barefoot running form. Go back and forth between running in minimalist shoes and then barefoot until you can exactly replicate your barefoot running form while wearing shoes. Once you have your form down, start putting some miles on your minimalist shoes. Every day for one week, start running no farther than .25 miles to allow your feet and legs to adapt to the lack of support of your minimalist shoes. Add an additional .25 miles each week after that until you get to your goal distance. So, if you were trying to build up to the 1.5-mile run, then it would take you 6 weeks to adapt to that distance. Weeks 1-6: Run barefoot on a grassy field three times each week for three minutes each day. Weeks 7-12: Run barefoot on a grassy field three times each week for five minutes each day. Weeks 13-14: Start running in your minimalist shoes five days a week for 5-10 minutes each day. Run slowly and don’t run more than .25 to .5 miles each day. Try to replicate your barefoot running form before increasing your mileage. Take your shoes off and run barefoot if you need to. Weeks 15-20: This is when you start putting mileage on your minimalist shoes. Starting on week 15, for five days, run no more than .25 miles each day. On week 16, add another .25 miles to your run (for a total of .5 miles). Keep adding another .25 miles with each additional week. You should be able to run 1.5 miles by week 20. After you have gotten used to your minimalist shoes you can then start training normally. If you decide to run for a longer distance, run an additional .25 miles each week until you reach your desired distance (for example, it would take you seven weeks to go from the 1.5-mile run to a 5K) . My first foray into minimalist running was with the Nike Free 5.0. While the Free is not a true minimalist shoe (it has a thick sole and a heel drop), it was a big improvement over my older running shoes. Unfortunately, these new shoes didn't give me as much speed as I wanted. 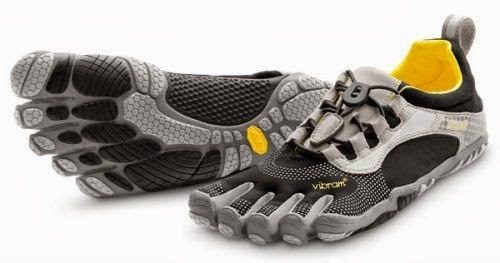 Desperate to make running fun so that I could improve my 1.5-mile run time (I love sprinting, but I hate running any farther than 100 meters), I purchased the odd-looking toe-shoes (a.k.a., Vibrams) based on the mountains of positive reviews. I think it would be an understatement to say that I was an instant convert. Since I had been experimenting with barefoot running for a couple of weeks before I got my toe-shoes, it only took me about a week to get used to my new Vibram Bikila LS running shoes. On my first attempt at the 1.5-mile run I dropped my time from 12:15 to 11:26. While the speed improvement was great, the thing that impressed me the most was the fact that I didn't feel physically destroyed after my run. Lately, I have started to do more crossfit-style training, which is almost impossible to do in true minimalist shoes (there isn’t enough protection for my feet when I do jumping Burpees and frog hops). 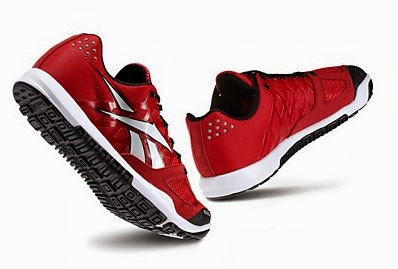 So I decided to try a quasi-minimalist cross-training shoe made by Reebok called the Nano 2.0. I was initially a little worried that I wouldn’t be able to run in them because the Nano’s soles are so thick, but I ran a 25:56 5K in them without so much as a peep from my shins! So, I'm obviously biased towards the Vibram Bikila LS for minimalist running on asphalt. I also like the Balance Minimus Trail for cross-country running and the Reebok Nano 2.0 for cross-training. 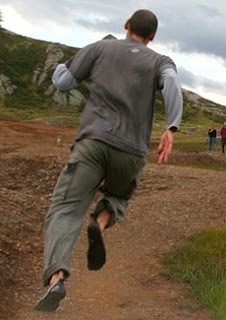 For opinions on other shoes, I will have to defer to the exceptional minimalist running web site birthdayshoes.com. Great blog! I admired your article because it shares a lot of information and I learned so much. Not only about used shoes and also about the benefits of minimalist running shoes. Thank you for sharing this with us.